3D printing and modelling have been developing rapidly. The future of 3D printing market is quite promising. However, there are some problems or issues faced by this industry. Productivist is a new project that will address those issues. Let’s start with the problems that are occurring today related to the industry and how Productivist can solve the problems with its solutions. At the moment manufacturing companies are facing a great challenge to handle a high demand for services yet with small investments. Moreover, these companies have to compete with each other while consumers want cheaper prices, better sourcing, and more transparency of services. These big problems fall into some smaller problems. The first one is inefficiency. It is inefficient because there are lots of clients, price competition, distant production geographically, and complex orders. The combination of all of these leads to inefficiency in managing production capacity. The second problems are the high cost of sourcing materials. They require the use of a broker. The solution multitude and the varieties of offers lead to a complex selection process. Eventually, there is an increase in production costs and no one can prevent this to happen. The third problem is a minimum order. This can happen due to the lack of trust between the consumers and the manufacturers. The manufacturers need to secure payment from new clients, while clients need to secure quality and delivery deadline. This is called counter-productivity and it generally happens with small actors who have limited track record and network. Why do track records matter? Well, it is considered as a key to a secured transaction. That is why companies tend to choose expensive historic actors. The next problem is related to tracking progress. Order tracking is crucial for to monitor the chain supply. The problem is transparency still becomes the main issue. The next problems deal with the absence of IP protection. Without high security, potential threats can harm any sensitive blueprints and financial transactions. What are the solutions to all of these problems? 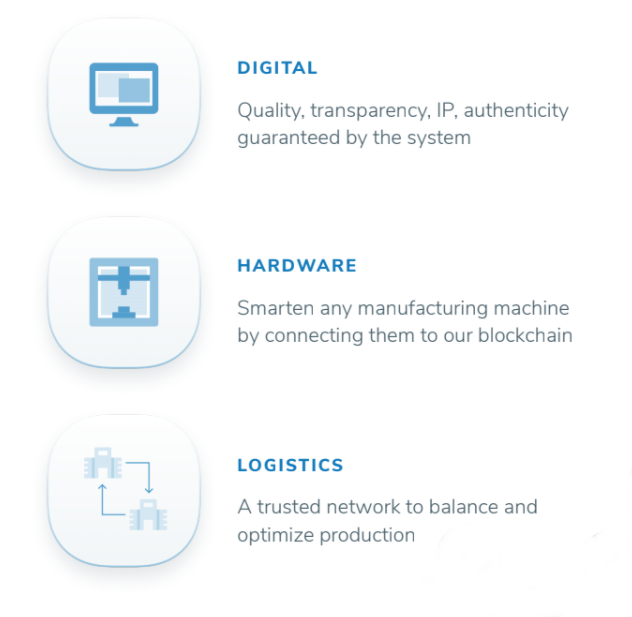 Productivist enables to give solutions to problems mentioned above particularly because it is empowered by blockchain tech. this blockchain project aims to build a new protocol for any manufacturing technology. 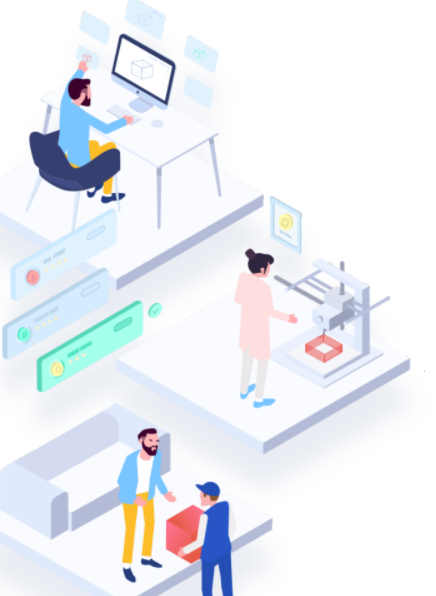 This project is a kind of open system which promotes distant and effective solutions both for consumers and manufactures based on decentralized production with secured and transparent transactions and data. So, what can Productivist do to give the solution? First, it can transfer a file digitally with the technical information. As a result, any files can arrive at their destination safely. The platform also makes it possible to monitor the production in a real time. In this way, human intervention can be prevented. The monitoring can be done from the first time the file is transferred until the last process of manufacturing. The connection of the machines to blockchain also makes it possible to detect production time. The question is how to connect the machines to the Productivist Blockchain Project? It can be done via a smart device that the company created. The owners of manufacturing machines will benefit from connecting machine to the Productivity blockchain because they can access to its production schedule. They can also select the commercial mode to send the instructions of production to the transaction. The use of blockchain is totally free as long as there is no commercial model. It is because the devices are able to validate blocks. Therefore, the system can become free. This smart device will use a wallet that has been integrated into the system to receive orders and files. You might want to know how Productivist project was created. This project belongs to Freelabster. Freelabster.com is a platform which provides services for 3D printing in a virtual marketplace. The platform uses a tendering mechanism. 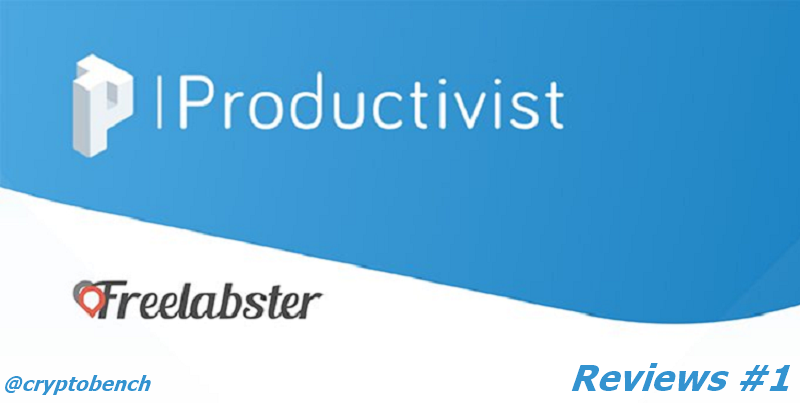 Freelabster will integrate blockchain to its industrial operation and this project is called Productivist. The project’s goal to build a decentralized ecosystem for an efficient manufacturing operation. In order to provide the solutions to the problems mentioned above, a roadmap for the Productivist project has been created. There is a great team who has reached some milestones and the upcoming ones. All of these will be discussed in the next article.